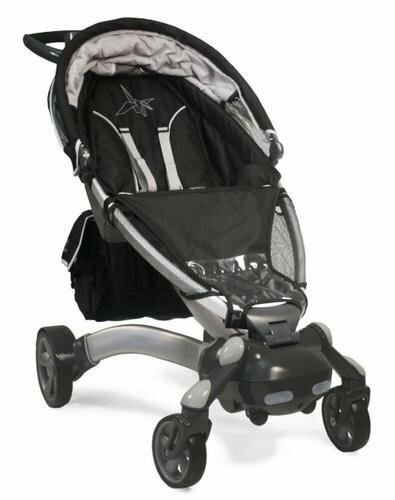 In June we introduced you to the Mamaroo, a bouncer like no other. Now the brains behind Mamaroo, 4Moms, have turned their considerable design talents to the humble pram and there are innovations aplenty (yes, really). I’m about to list some awesome new pram features but before you get too excited and start scrolling down for equally awesome pictures, hold fire – the Origami is yet to be released and there are only a few images to whet the appetite out there. So, what does the Origami offer? Try the world’s first power-folding system (the pram folds itself at the touch of a button). 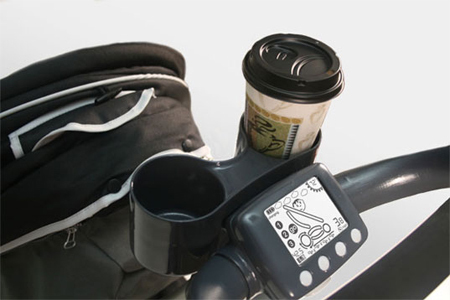 It’s also the world’s first iPod-playing, mobile phone-charging, LCD-sporting pram. Featuring a generator in the rear wheels that charges the pram as you walk, the Origami can power speakers, a phone charger, a speedometer, daytime running lights and sensors that detect when a child’s in the seat (so it’ll never fold by accident). So while I have visions of a moving, strolling sound and light show, the practicalities of being able to charge your phone as you walk, play lullabies to your dozing bub and not wrestle with the whole contraption when it comes time to putting it in the car, all sounds pretty swish. Thanks to Babyology reader Sally for this tip. We’ll keep you posted on when the Origami is available to buy. In the meantime, try our Chooser to compare special features on other prams.